MACHGUARD light duty roller guards offer the ideal economical solution to slideway protection. 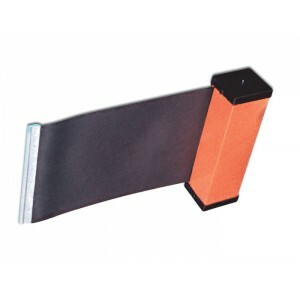 They are manufactured to a high standard offering protection for almost all applications. The first choice for standard machine applications, without the cost of heavily engineered solutions. Lightweight, easy fitting, inexpensive, they are the perfect solution. Manufactured using lightweight aluminium tube and sealed precision roller bearings, powered by our own design helical spring. Can be fitted with most of our standard material range.